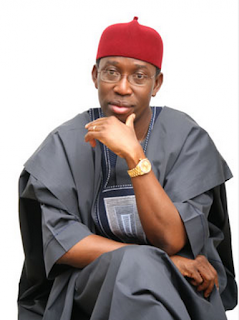 ASABA—AHEAD of the 2019 elections, the Ijaws in Delta State, under the aegis of Delta Ijaw Political Assembly, DIPA, yesterday, endorsed Governor Ifeanyi Okowa for a second term as governor of the state, noting that the governor has done a lot for the Ijaw nation. when he led members of DIPA on a courtesy visit to the governor, National President of the body, Chief Julius Government, said Okowa was passionate about the development of Ijawland with an unprecedented record of providing infrastructure in the area. Government said: “We formed this body to assist in seeing that you are returned for a second term. We are solidly behind you, we will do everything within our power to ensure your victory in 2019. We will partner you to sustain the peace and security in Ijawland. You have done a lot for our people, provided roads and other infrastructure, you have given a lot of appointments to Ijaw sons and daughters. In his remarks, Dr Okowa commended the people for putting the group together and expressed confidence that the group will “add strength to the politics of Ijaw nation. ” Okowa said; “It is important that as leaders, the people should continue to trust you and have confidence in your leadership. Always know that politics is more about rendering service to the people at the end of the day. As a group, you should be that voice that builds peace, not shying away from attracting development to the people. ” Expressing joy that his administration’s developmental projects in Ijawland were being recognised, he commended the Ijaw ethnic nationality for ensuring that contractors handling different projects in the area were not disturbed. “As a government, we are committed to developing infrastructure in Ijaw land and every part of Delta State within available resources and I hope DIPA will remain united. Delta State is becoming more peaceful, we will continue to support DIPA and other such groups in the state as they will help us in our peace building efforts and infrastructural development,” Okowa said.